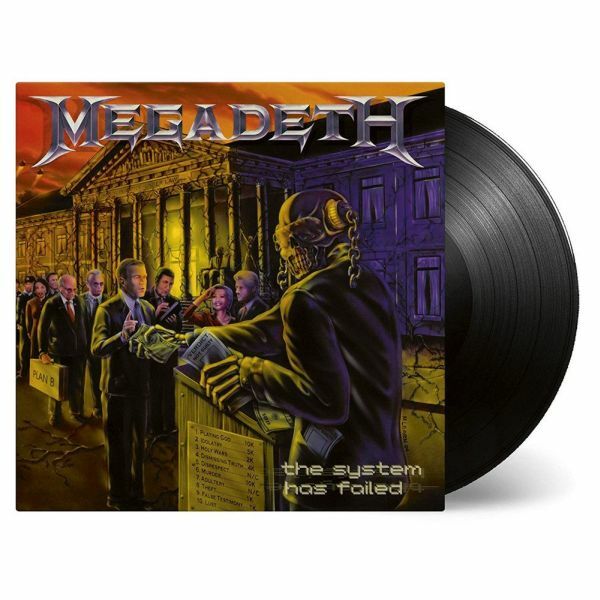 MEGADETH - THE SYSTEM HAS FAILED REMASTERED VINYL (LP) | Online Shop | Wizard LTD. Album: "THE SYSTEM HAS FAILED REMASTERED VINYL (LP)"
Two of Megadeth’s studio albums from the early-2000s are to be reissued in 2019. The World Needs A Hero from 2001 and 2004’s The System Has Failed will arrive on February 15 via BMG on CD, LP and on digital platforms. The World Needs A Hero has been newly remastered by Ted Jensen, who has previously worked with Guns N’ Roses, Machine Head, Mastodon and Trivium, with the CD and digital versions featuring live bonus track Coming Home. Jensen is again behind the desk on the The System Has Failed reissue, and it’ll include the live bonus tracks Time/Use The Man and Conjuring on the CD and digital versions.